"With more than one person working out of our content sets, we would have had a hard time tracking versions if it weren't for Flare's TFS integration." "Within a couple days, we were able to deliver a customized user manual as a Word file, so the user could make additional changes. Before we had Flare, this wasn't an option." "We need to publish to Word, PDF files, the Web, and mobile, and Flare lets us do that all from the same project." For more than three decades, Blackbaud has combined technology and expertise to help nonprofit and education organizations achieve their missions. The company now enables more than 27,000 clients in 60 countries to raise over $100 billion each year. To help the developers and end users at these organizations use its cloud-based and on-premise software solutions, Blackbaud delivers user assistance content created with MadCap Flare. 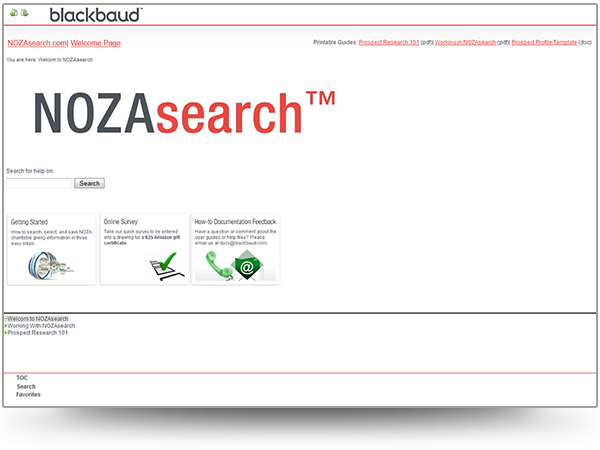 Single-sourcing in Flare allows Blackbaud's documentation team to publish the same content to users' format of choice, including print, Web and mobile. Meanwhile reuse of content with Flare promotes efficiency and ensures consistency, and integration between Flare and Microsoft Team Foundation Server (TFS) facilitates collaboration. The move to Flare arose out of an initiative to modernize the creation and delivery of online Help and print documentation for Blackbaud's clients. A top priority was moving to a topic-based structure that would facilitate content reuse, as well as provide a separation between style and content. Initially the company looked at the Darwin Information Typing Architecture (DITA), a standard XML data model for authoring and publishing. 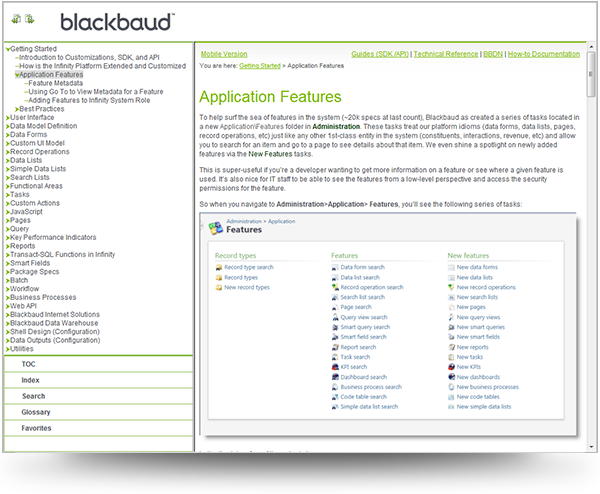 However, after evaluating products with DITA functionality, Blackbaud decided to use Flare. Although, Flare doesn't support DITA, it is based on native XML and provides the robust topic-based approach to authoring that we wanted, recalls Denise Kadilak, Blackbaud information architect. Flare plays a central role in customizing both the content and the look and feel of the documentation and online Help that the company provides clients. Another way Blackbaud supports customers is by making online Help convenient to access either as standard WebHelp or as Mobile Help. Content is also synchronized through the process of runtime merging within Flare. 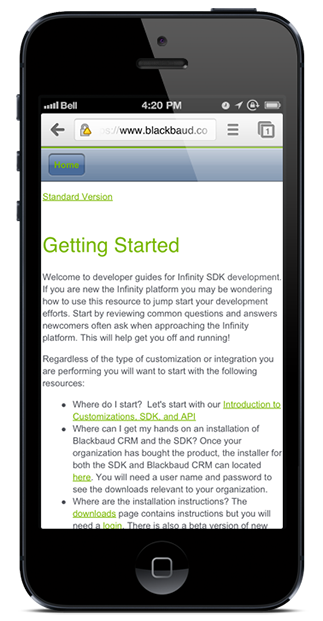 All the multiple runtime targets for print, the Web and mobile get merged into the larger WebHelp. For the user, the WebHelp appears to have standard navigation, and they don't know that the content is coming from multiple places. Blackbaud maintains parent projects from which other child projects can pull topics or file types, such as online Help files and PDFs, allowing for faster turnaround time. Through global linking, the information in the parent project will be updated in all the child projects at once.